Hi! I'm back with Part 2 of our Mathematical May series. Did you get a chance to check out the other Warrior's blogs yesterday? They had some great ideas. I'm definitely going to incorporate Christy's Counting Glove idea next year! You can check it out here. 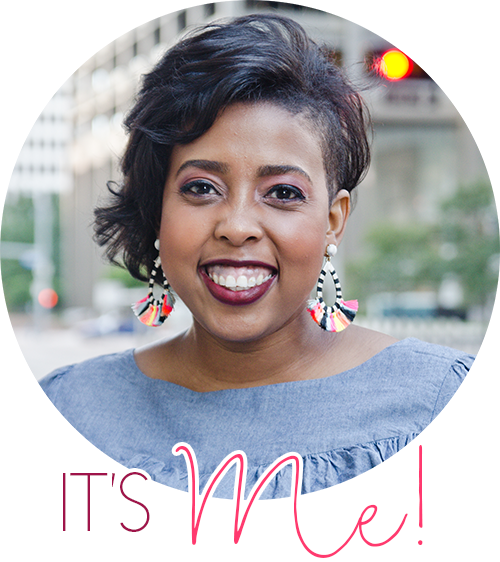 Continuing on from yesterday's post…. 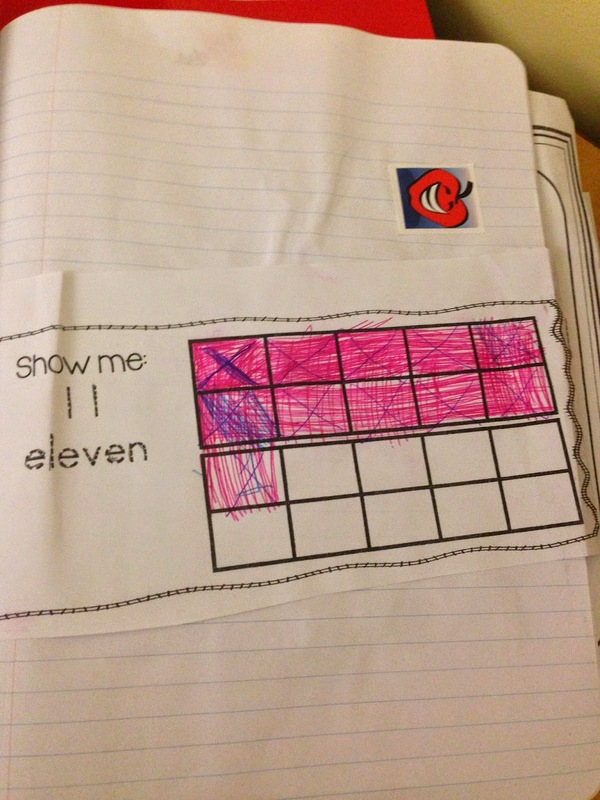 I wanted a way to track my student's growth and development in a particular math skill. I knew that I'd be able to informally/formally assess them over time…but I wanted a way to see EVERYONE's development. I bought a classroom set of composition notebooks and sectioned them off by 20 pages. 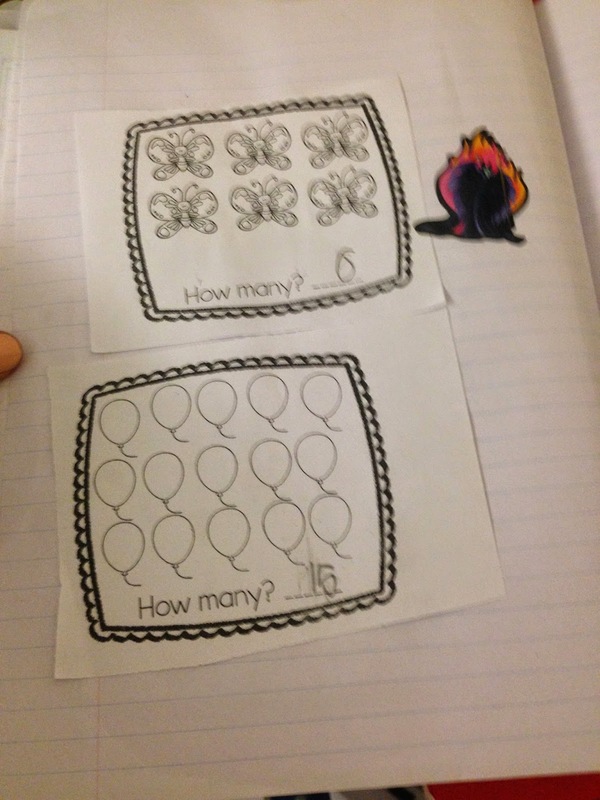 Each set of 20 was enough for one Common Core standard. Next, I created journal dividers to place in the journal. This is my journal..I used card stock and made black and white copies for the kiddos. Looking back, I think I should have color coded each skill. When we first started using the dividers, kids had a difficult time knowing which specific tab I wanted them to turn to. Next year I will make sure that Counting & Cardinality- red, Geometry-blue and so on. 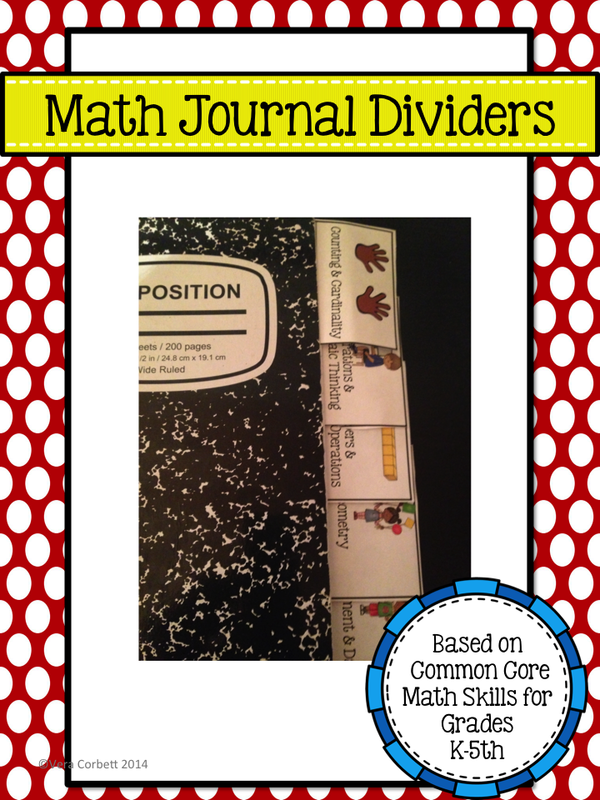 I also created math journal problems based on each Common Core skill for kindergarten. This was super time consuming as I wanted to make sure that the activities were quick but also challenging. I also wanted there to be some kind of variety within each skill. 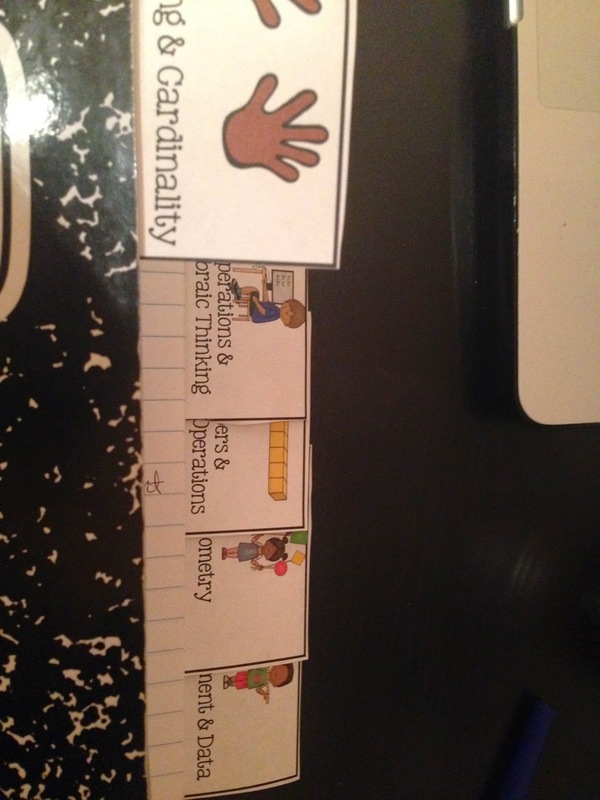 I'm still working on perfecting the activities but here are a few samples. Each day the kids get one activity to complete in 5 minutes. I encourage them to solve, cut then glue. I try to explain that coloring is the LEAST important part to these activities…and everyday it turns out all they want to do is color first! 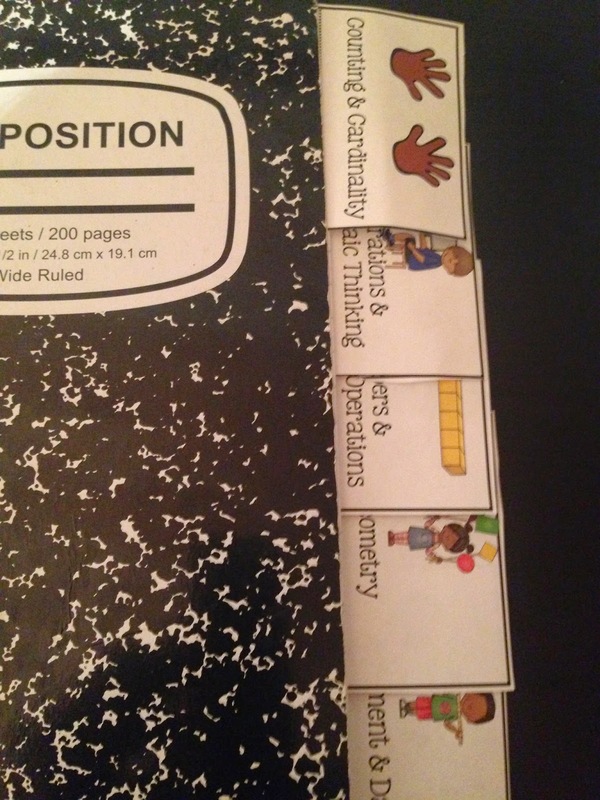 Each Thursday, I collect their journals and give stickers for correct work. On Friday, I give them an extra 3 minutes to review their work and check for stickers. They know that if they didn't receive a sticker…some part of their work isn't finished or is incorrect. They are invited to come to me or my teaching assistant for help and try to earn a sticker. 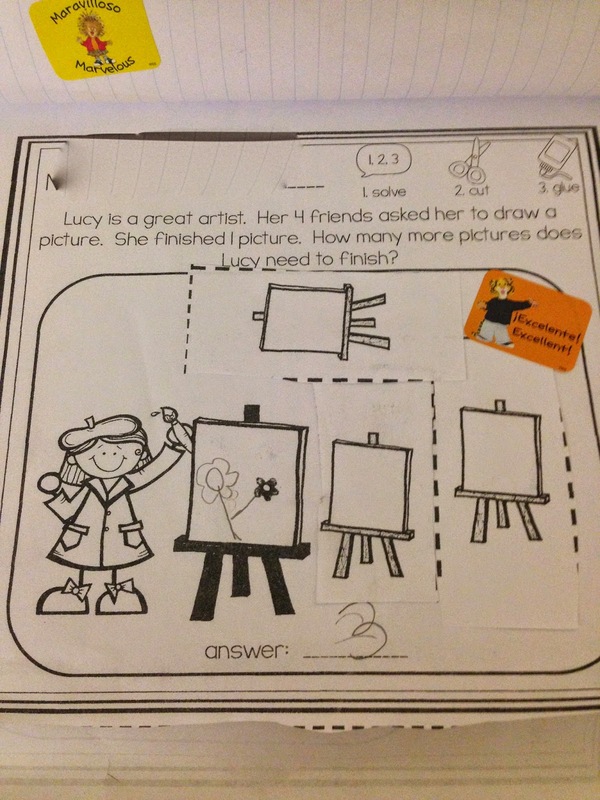 Because all the activities are divided by skill, I'm able to see which student needs the most help on a particular skill. If I have a student who never earns a sticker in their Measurement and Data section, I can pull them for small group work to strengthen that skill. Plus, it's all document!! This system has been working so well! The kids are excited to do these everyday (I think the time limit helps). They are also super excited to check their work on Fridays and work really hard to earn their sticker. I'm overjoyed because I have an organized collection of data that I can use to show student growth overtime!! I LOVE IT. I hope you love it too..because I'm so happy to share my Math Journal Dividers with you. FOR FREE. 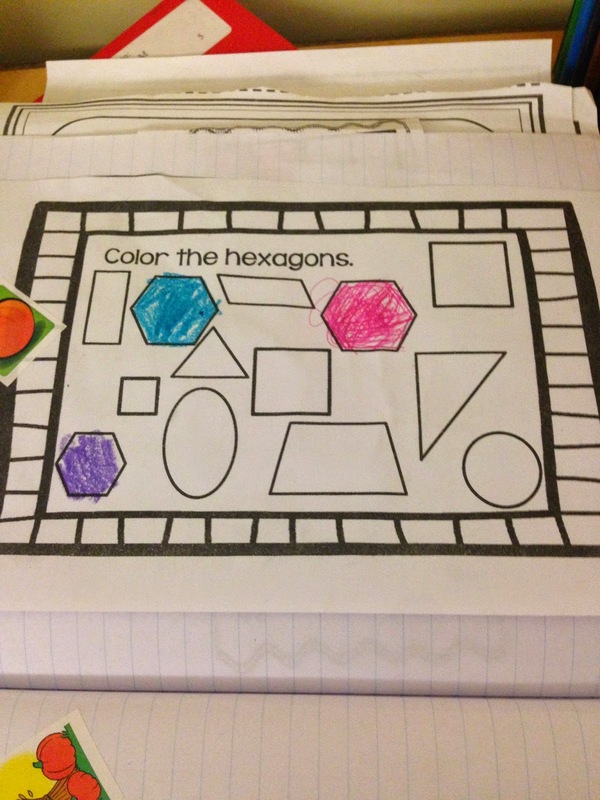 This is a forever freebie and features Common Core standards for grades K-5th! I've had a few requests for my Math Labels. I'm working on making them available to everyone! As soon as they are ready, I'll be sure to get them out to you. 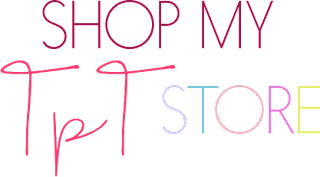 In the meantime, be sure to enter my giveaway and you can win $10 to spend in my TpT store! I hope these last two days have been helpful to you! 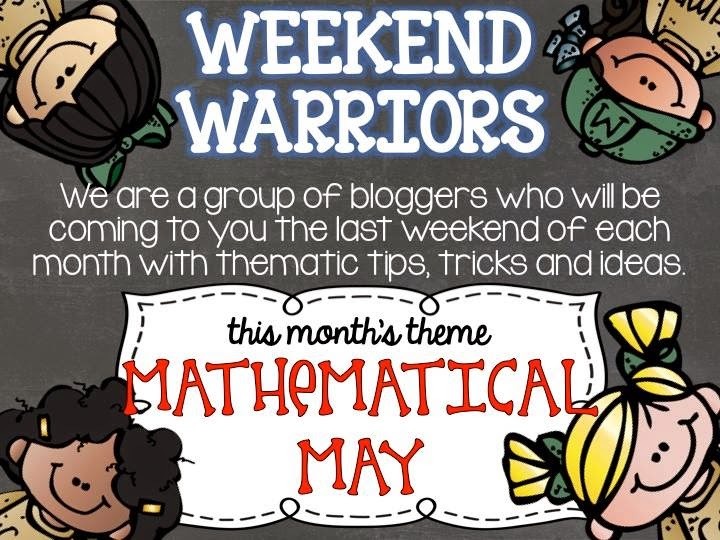 Mathematical May has been so much fun! Head over to the other Warriors' posts and find some awesome ideas! Thank you for the dividers! I did math journals this year as well and I can't wait to use the dividers for next year! Great idea. Love the dividers!!! 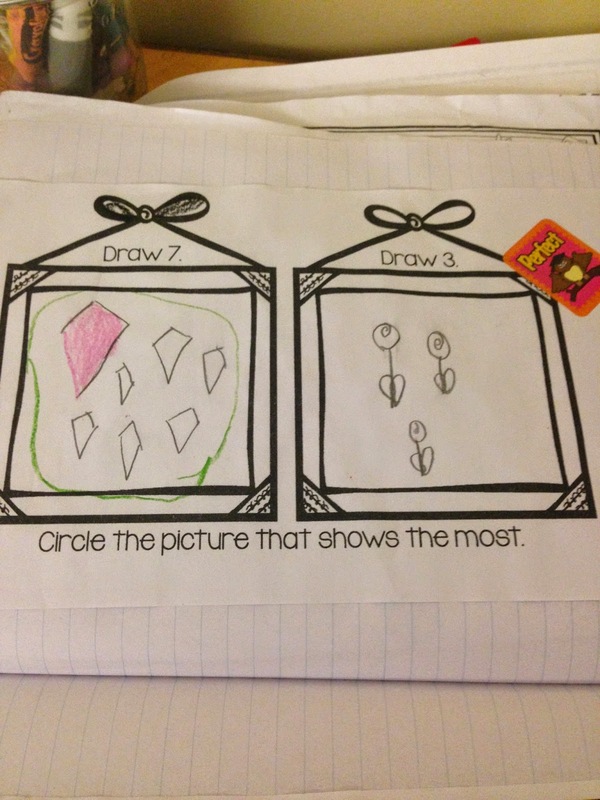 :) Such a cute idea! Love these dividers! Thanks so much for sharing! These will really come in handy for next year.